Commercial — INTERIOR. DESIGN. STYLING. Branding isn’t just about logos. It is about expressing your unique brand personality and driving home your brand story. We do that with a strategy in mind. So nope, it’s not all about looking cute and pretty. It‘s Not A Bird. It’s A DUCK. When you have the yummiest, most dangerously addictive salted egg snacks, you need to tell that to the world. We help our client do that through EXCITINGLY FRESH DESIGNS and IDEAS. Life is a BEACH, get DANGEROUSLY ADDICTED! When A Kiosk Is More Than A Kiosk. If a store is your brand’s face to the world, we ensure that you put ONLY your best face forward. 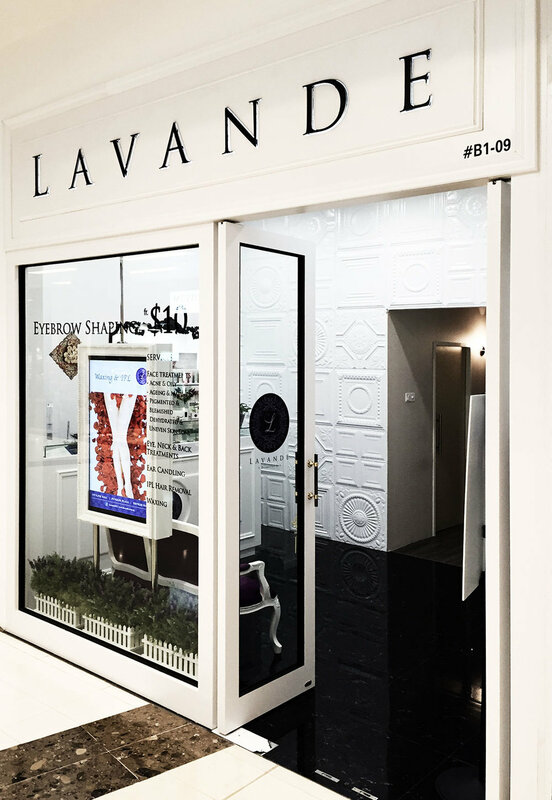 Located within the bustling Plaza Singapura, this kiosk breathes new excitement to woo and wow the mall’s hip and young crowd. Irvins sets sail at MBS! More fun, less expected and equally attention-grabbing... this new cartel draws inspiration from its location and presents itself in the form of a pirate ship with IRV the duck helming the vessel. 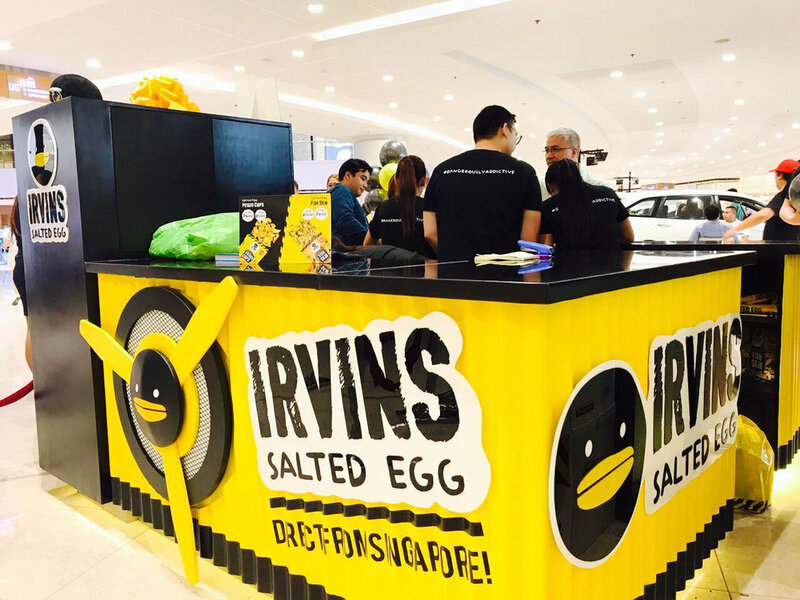 Following the overwhelming success of Irvins Salted Egg in Singapore, the brand makes its first foray overseas. This first cartel at SM Megamall, Manila needed to make a huge statement with a relatively small kiosk. The result: Fun, unexpected and kickass kiosk design featuring a jet propeller to communicate that the brand has made its way to the Philippines directly from Singapore. 'Air-dropped' onto Manila’s Bonifacio High Street, this second cartel features a container concept, matched with a cute little propeller to continue its Direct-from-Singapore concept. This design received overwhelming positive feedback from delighted customers. In Case of Addiction, Break Glass. At Wolf Woof, we are constantly pushing boundaries. For ourselves and our clients. We are always thinking of how to continuously excite our clients’ target audience and deliver a unique retail experience. Yes, even if we have to go against conventions and break some rules. Bring Home A Piece of History. The Museum Shop is every dinosaur-crazy, prehistoric-loving aficionado’s dream. We had BIGGGGG plans for this souvenir shop. So big, we had to import all the way from Japan. Yes, we’re referring the giant cardboard Velociraptor that stands tall in the shop. Our client needed her space to be beautiful. Simply because it’s the quintessential beauty salon for the busy executives. And beautiful we made it. When we first received the brief to inject the space with Bling, we warned ourselves against making it look tacky. The end result was a sleek and stylish space that befits this Korean eyelash boutique. Who Says Work Must Be All Serious? When it comes to designing our own design studio, it is both a joy and a pure pain – pure pain because designers ALWAYS have a hard time designing for themselves. THEY ARE THEIR OWN WORSE CLIENTS. We kept it casual and cosy in the end because we believe people are most productive when they are comfortable.